3mm thick MDF crafting blank. 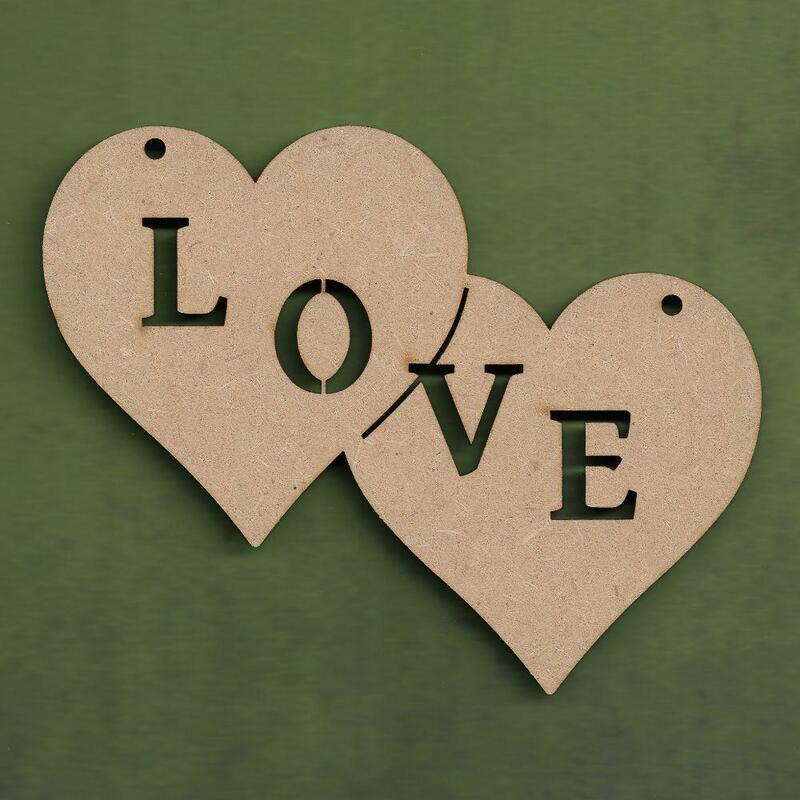 Double heart shape with "LOVE" cut out, of the centre, is laser cut from 3mm MDF. Use them for decorating around the home or for weddings. 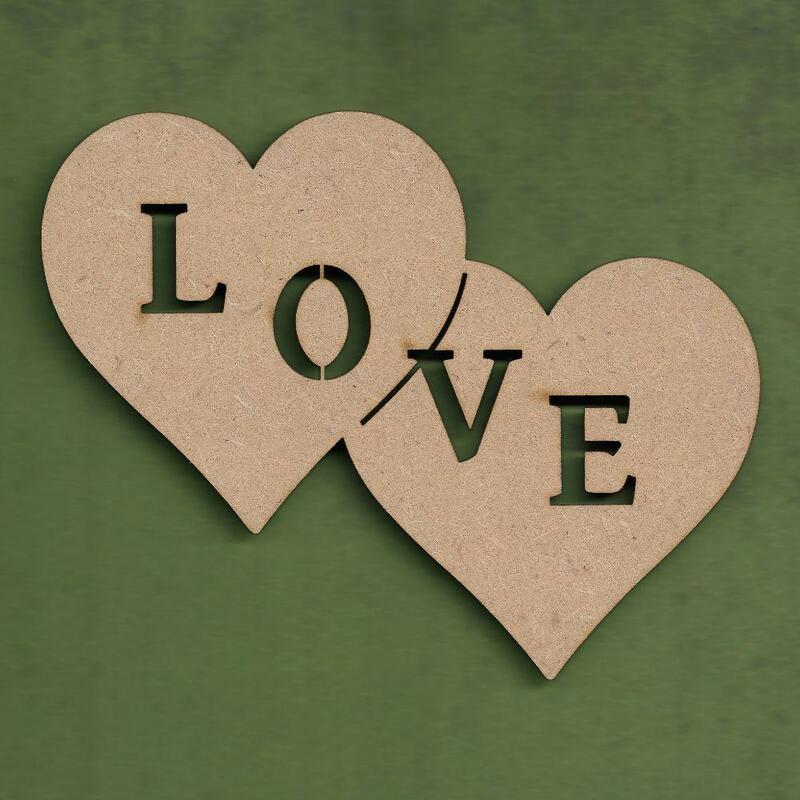 The double heart with love cut out is also a romantic way of saying I love you to that special someone in your life. 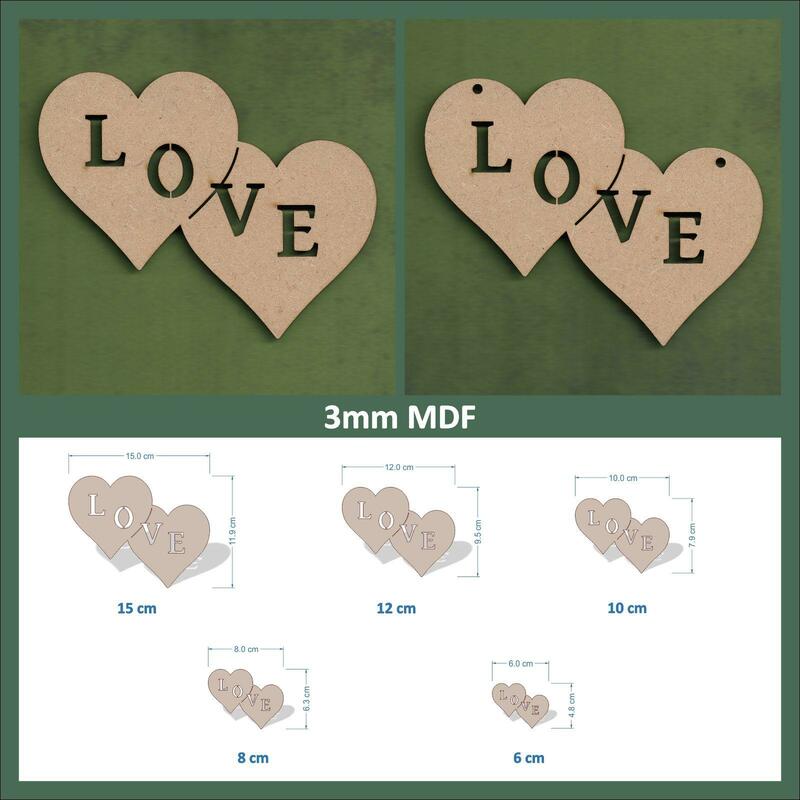 Ideal for creating your wedding plaques and valentines day gifts, why not personalize them to make that special wall hanger for your home.